Born Hiram Ulysses Grant, his name became Ulysses S. Grant when he went to West Point. His congressman, Thomas Hamer, knew he was called “Ulysses” by his family and assumed that was his first name, and made the further assumption that since his mother’s maiden name was Simpson his middle name, as was the custom with many families, would be his mother’s maiden name. Grant was just as happy, since he was afraid his initials, H.U.G., would lead to “Hug” as a nickname with which he would be saddled. Instead, U.S.G. became U.S. Grant, or “Uncle Sam” Grant, thus his nickname became Sam. Sam Grant graduated in 1843, 21st out of 39 students. “This has been used to measure Grant’s intellectual abilities, but in fact the narrative of his intellectual evolution at West Point has been left untold. later in life he wrote, ‘Much of the time, I am sorry to say, was devoted to novels, but not those of a trashy sort.” [p. 34] White analyzes the novels Grant read during his time at West Point, something few if any previous biographers have done. We learn Grant excelled in math, showed real talent in art as a painter, and shone brightest as a horseman. This book is the product of prodigious research, and Mr. White is a wonderful writer. Generally a positive biography, the book reveals much of the man who was the general and president. I can highly recommend this book. 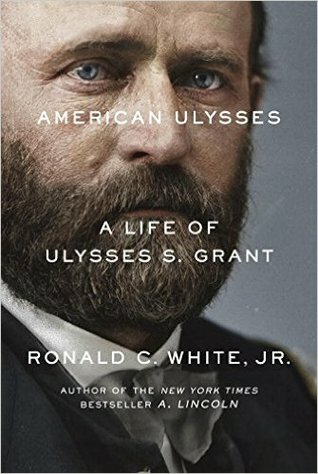 If you want to understand Ulysses S. Grant, consider reading this book. It’s excellent. I found too many errors in the Civil War part to give it a positive review. Military aspects were a definite weak spot, but I felt the book’s strengths, especially the understanding of Grant as a human being, outweighed the weaknesses.